Every Easter for the past 17 years. And we’re ready to go again. We do it because we believe in seeing the world from a different perspective. Because we believe that all young people are passionate at heart, and want to find ways to change their world. Because we believe that reconciliation is possible, and sometimes all we need in order to change is to do one thing that we’ve never done before. So every year around Easter time Fusion Australia puts together one of our boldest and most challenging programs. It’s also one of our most life-changing. The Pilgrimage to Uluru is a journey to the very heart of Australia. It’s a chance to see our country in a whole new way, and an opportunity to do something that many Australians will never experience. With several days worth of travelling, the bus trip is one of the most important parts of the whole journey. The Pilgrims participate in a daily routine of reflection, discussion and creative activity as they travel to their destination. We also stop at important and engaging cultural sites along the way, where our young people get the opportunity to learn from Aboriginal elders and teachers. As we cross modern state boundaries, we also learn about the traditional nations that we are passing through, and the significance of what it means to enter into another person’s land. Situated near the dead-centre of the continent, and on average 2,500 kms from any capital city, is Uluru. A place full of culture and history that shows off both the best and worst of Australia. While the journey is the fun part, the destination is where eyes have been opened, and young people have discovered a determination to have an impact on the future. 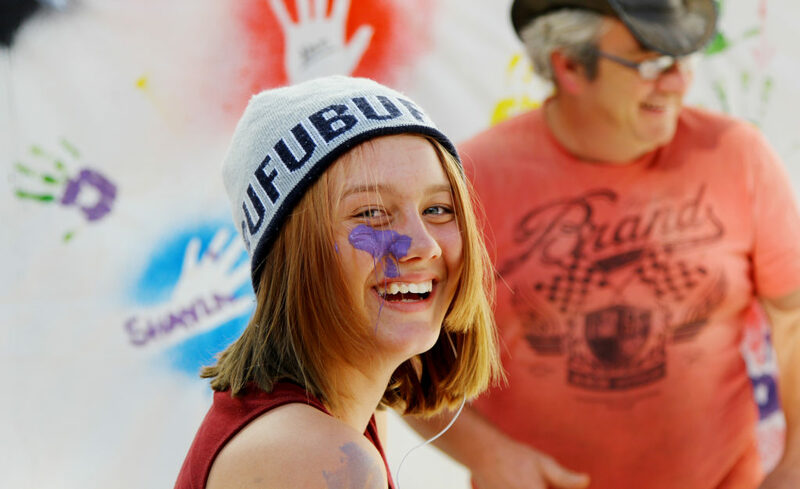 Once arriving at Uluru, the Pilgrims participate in a fairly packed education program which includes cultural exchange with indigenous students and elders, and hosting a family festival and concert drawing people from around the Uluru region. For each of us in our relationships with friends, neighbours, families and between cultures, boundaries get crossed without recognition or respect. The Uluru journey encourages reflection on our own lives to look at these boundaries. Participants are equipped with resources to assist in the process of reflection including their own personal journal for daily entries. This journal includes a map of Aboriginal Australia, identifying the hundreds of nations that existed before settlement and whose boundaries are crossed every day. 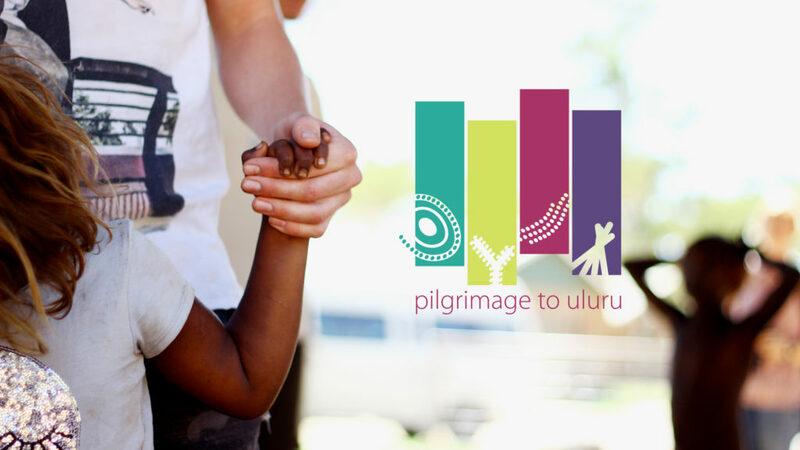 The Pilgrimage is proving to be for many a profound time of self-discovery arising from an engagement with Aboriginal culture and history and their own spirituality. Participants begin to see themselves more clearly and to view those around them with respect and admiration. It fosters an appreciation of the created world. Some common issues for young people such as alienation, bullying, violence, substance abuse and working at reconciliation are readily addressed through the embracing of values around learning when to be a “rock” (a steady one) and when to be a “stream”, (a flexible one, able to harmonise). Countless young people have come back from the Pilgrimage with very different attitudes to those they set out with. Antagonistic ethnic groups within schools have become friends and have been heard discussing how they will communicate the change to their school mates on their return. Many have gained the courage to stand up in their schools in classes and assemblies to tell their peers what the journey has meant for them. 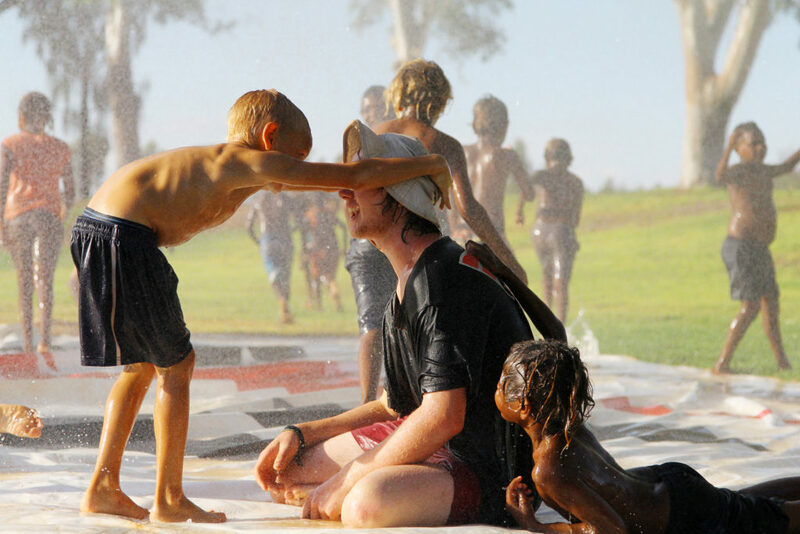 Since the first journey in 2001 there was a development of connection with central Australian indigenous leaders who have since extended a warm welcome to children as they have visited the Rock; a connection that has strengthened over the years and we hope to continue into the future.